Turning 18 years old is a milestone for most girls. A lot of changes will come into their lives once they hit 18. They can vote and many will be graduating from high school and moving on to college. Give the girl turning 18 in your life a gift that recognizes her new found adulthood while still being fun and playful. In most states, a girl can play the lottery when she turns 18. Mark the special occasion by purchasing her a bundle of 18 tickets. If you buy tickets where you have to pick a series of numbers, choose numbers that mean something to her, such as her birthday, house number or locker combination. Keep in mind that if you're under 18 yourself, you won't be able to buy the tickets, even if you're giving them away. If she hasn't already, a girl will start trying to be more independent on her 18th birthday. Let her know that you accept her independence by buying her a domain name and web hosting, at least for a year, so that she can start her own website. A personalized website will give her a place to express her thoughts and will help her to feel more grown-up. If she has a talent, such as photography or sewing, it will give her a spot to show off her skills. Pick a good name for the site or ask for her input. She may already know the basics of web design from blogging or using social networking, but a how-to book wouldn't hurt. Another way to recognize an 18-year-old's newfound independence is to give her the gift of travel. If you're a parent and the idea of sending your girl out on her own, even for just a few days makes you nervous, jointly plan a trip with one her friend's parents and send them off together. You can also book a trip for her to see distant relatives on her own. She'll make the journey alone, but will have people she knows at the destination. Celebrate a milestone birthday by giving her something she'll treasure for a long time. 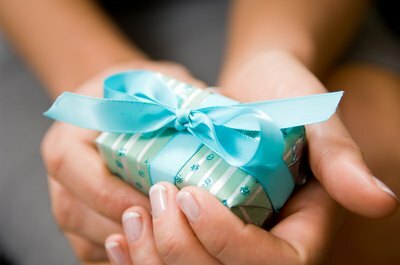 A fancy designer purse, string of pearls or other piece of jewelry is always a welcome present. If your budget is a bit smaller, give her a personalized wooden jewelry box. If you've been friends since kindergarten, make a scrapbook documenting your years together or make a collage of photos of the two of you.